The railway from Ingleton to Lowgill was originally proposed by the "Little" North Western Railway, but was eventually built by the Lancaster & Carlisle Railway. The Lancaster & Carlisle tried to simplify the scheme by more closely following the contours and reducing the curve radius, but this was rejected by Parliament. 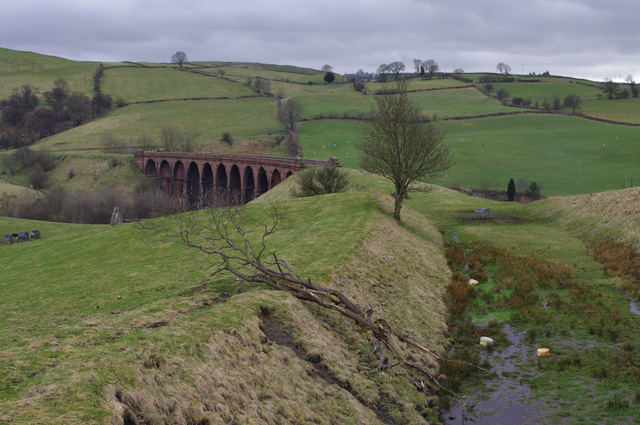 The result was the fine 11-arch Lowgill Viaduct, seen in the middle distance, built in 1859 and now a listed building.